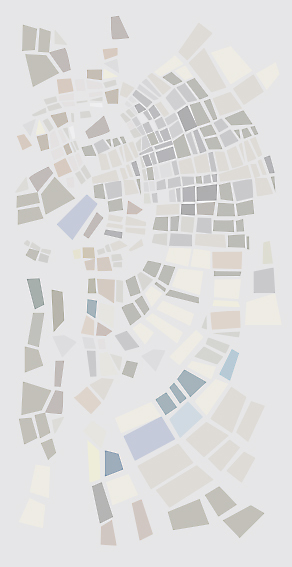 tedious due to the large distance from the district. 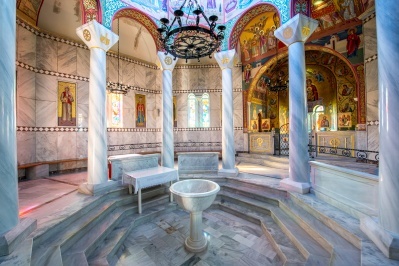 The vestibule is made later, while the other buildings within the precinct of the church – like the office, rectory, the home of the church sacristan and others - have an undetermined erection date but in any case subsequent to the main temple. 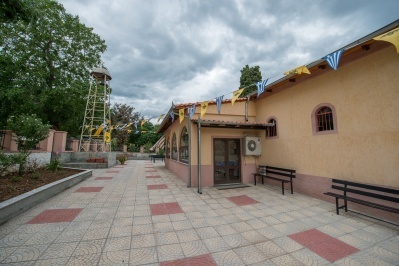 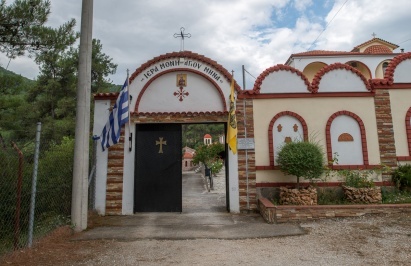 There is information that the above buildings operated as a Greek School under the supervision and financial support of the church. 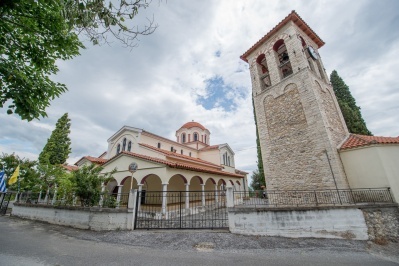 The code contains facts related to the payment of the teachers from the fund of the church. 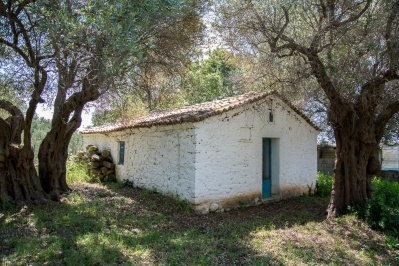 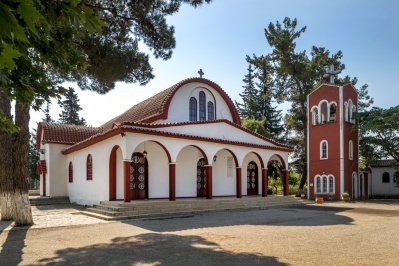 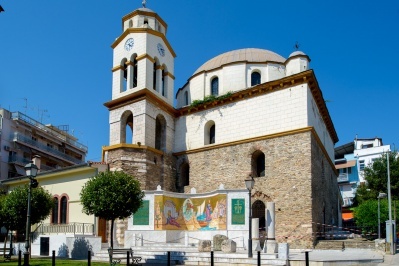 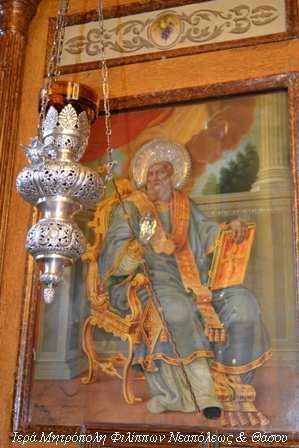 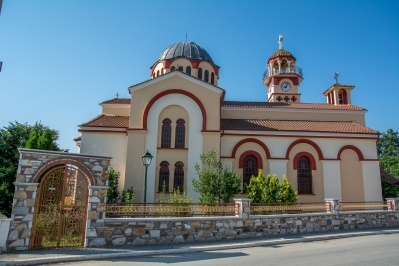 Old parishioners of Agios Athanasios claim that space beneath the sanctuary of the church served as a hiding place and weapons depot in the Macedonian Struggle, when the head of the church was the Vicar of Kavala and Athens later Archbishop Spyridon Vlachos. 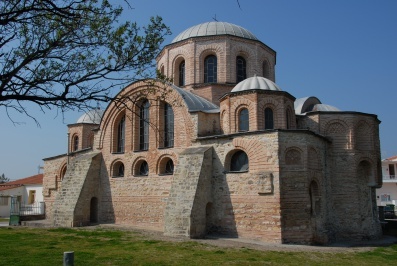 He is reported as an affiliate of National Martyr of Smyrna Chrysostomos, Metropolitan of Drama in his fight against the Bulgarians. 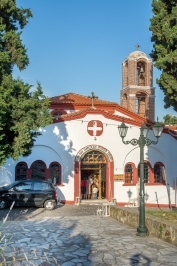 Internally, the church was modified at times in terms of renovating, landscaping and better functionality. 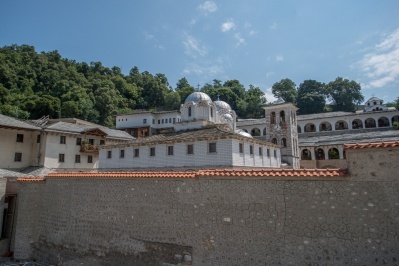 It features a loft on woodwork.The sacred Temple has the characteristic of high altitude features in addition to large icons and three rows of smaller images. 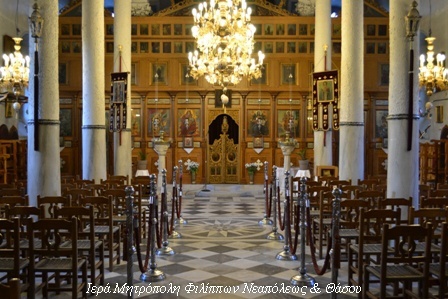 The hagiography of many of the holy icons of the temple is Cretan style and narration of the time like the erection of the church is for the images of Christ and Mary is on Renaissance art hagiographic as indicated by the signatures on specific images from Tamvakis and Pelekasis. 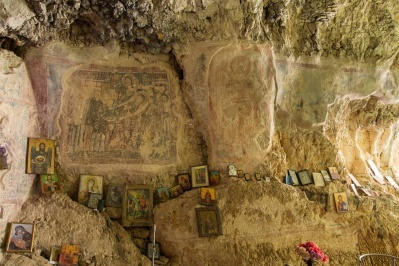 From the sacred objects and utensils of the church is worthy of special attention the Epitaph which has Russian origin - and the picture of the Cross. 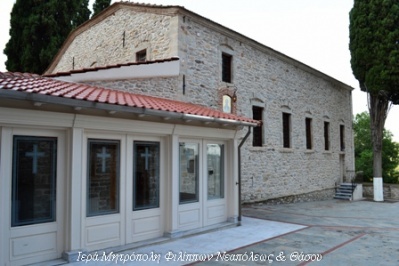 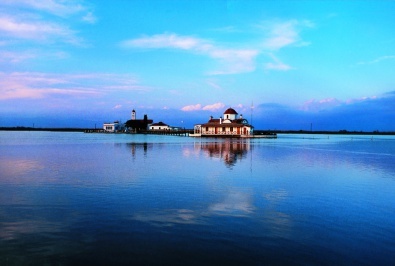 The Church celebrates twice a year, on18th January and on 2nd May, celebration of the recovery of the Relics of Agios Athanasios.